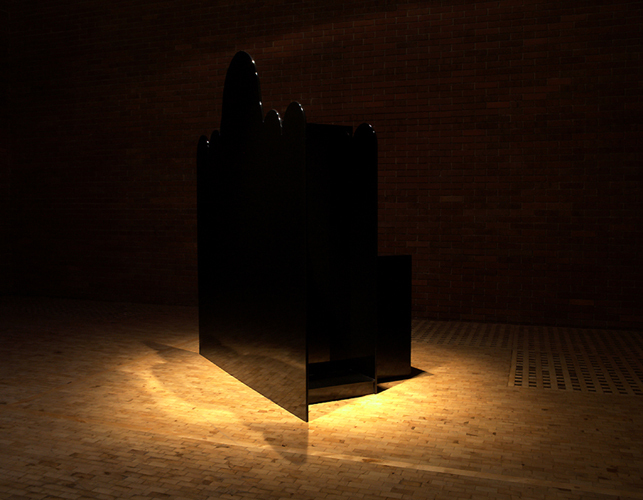 Black Project is a wooden sculpture in the shape and size of an abstracted confessional – displayed in a dark, empty space facing the corner. 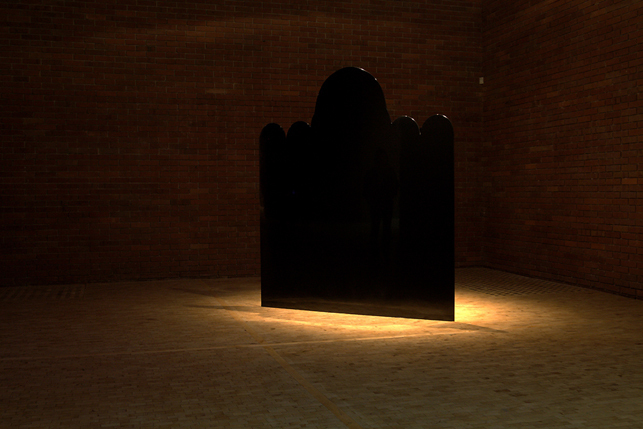 The sculpture is made as a confined object covered in black car lacquer. 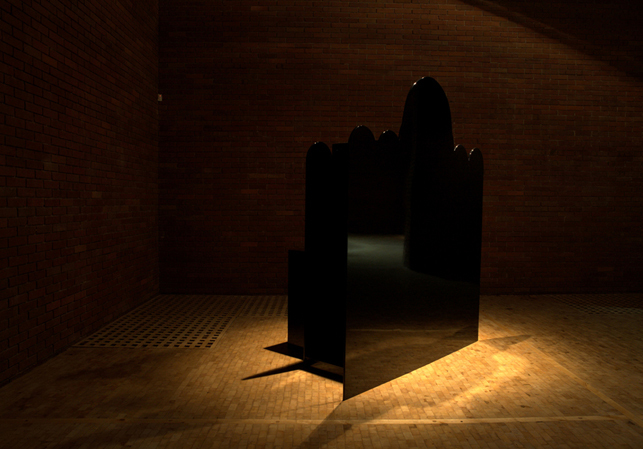 In Black Project the viewer will instead of being able to enter this confessional to privately confess a sinful matter, be met with a confessional reflecting their own image in a perfect black surface. 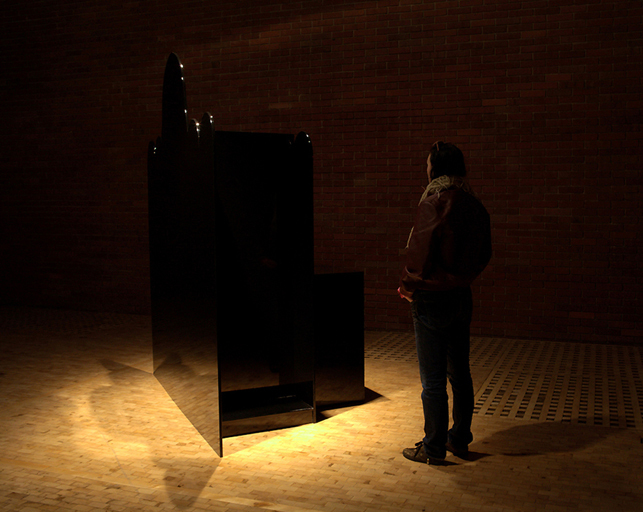 A strong reference is the image of the black mirror used for scrying (Divination based on an analysis of reflections in water, or on polished black mirror or metal). Scrying became widespread by the 5th century AD and was condemned by the church. 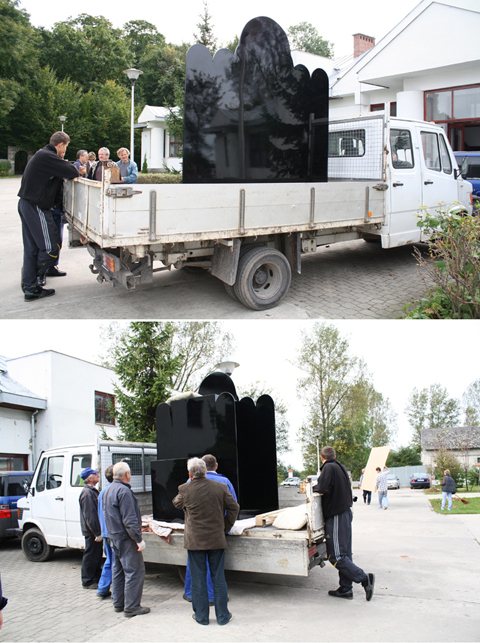 A black project is a secretive project, like classified military programs or narcotics or police sting operations.